Roof leak repair will prevent expensive water damage to your home. While leaks are not inevitable, they are not unusual, either. It’s vital to spot leaks early. Once you see the signs of a leak, or if you suspect a problem, you should call us promptly. Consumer experts agree: the cost of fixing the interior damage is far more that the cost of restoring the protection of your roof. Don’t put off roof leak repair! Call 937-681-8910 to schedule a free estimate. Some people are concerned that once a roofing contractor discovers a problem, the next step has to be replacing their entire roof. In fact, many roof leaks and imperfections can be professionally mended. Your inspection and estimate for roof leak repair will be handled personally by the founder and owner of our family business, and he personally inspects and supervises the work. A ceiling stain indoors certainly points to a leaking roof, although air conditioning and plumbing may also be the culprit. By the time the stain appears, roof decking, insulation and sheet rock may be saturated. This is one of the costliest parts of extensive roof repair – not the roof itself! Flashing is most often found around sewer vents, fluepipes, skylights and joints. It’s most often sheet metal, and has been installed at any break in a shingled roofline specifically to PREVENT leaks. High winds – especially our annual forced winds – can cause the flashing to work loose. Another reason for this particular roof leak repair is that your roof expands and contracts as the seasons change, causing the flashing to loosen. If a corner or an inch has separated from the surface, it stops preventing leaks and becomes the cause of one. Most do-it-yourself repair experts warn that repairing flashing properly is best left to a roofing expert. Of course, wind damage and age are other major causes of leaking roofs. We come to your home or business, measure and assess, and provide a free estimate. Consumer protection experts advise you never to accept a roof leak repair estimate by telephone, without ever having seen your house. That may seem like no-brainer advice; a contractor must see what’s leaking and how bad the damage is before giving you an honest price. But the vast majority of roofing complaints involve these kinds of telephone contractors. If your focus is on extending the life of your current roof or solving emergency problems, trust our experience with all kinds of roof leak repair, roof materials and styles. Our experience in the Dayton and surrounding communities allows us to quickly identify what most often causes roof leaks in this area, so we can provide the rapid roof leak repair you need. 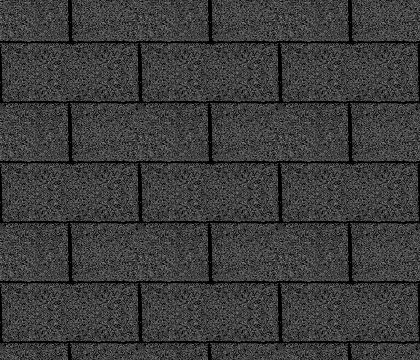 We know the roofing materials most often found on homes and businesses here. We are a preferred contractor of the manufacturer Certainteed. This means they have checked our installation skills and believe they ensure the high quality of their products. In addition, we have earned certification from Certainteed.